Original paintings of animals, landscape and culture of the great American West. A steely eye is focused on the critter that quit the bunch. A low crouch, and then, boom! A sprint to gather that one sheep back in line. 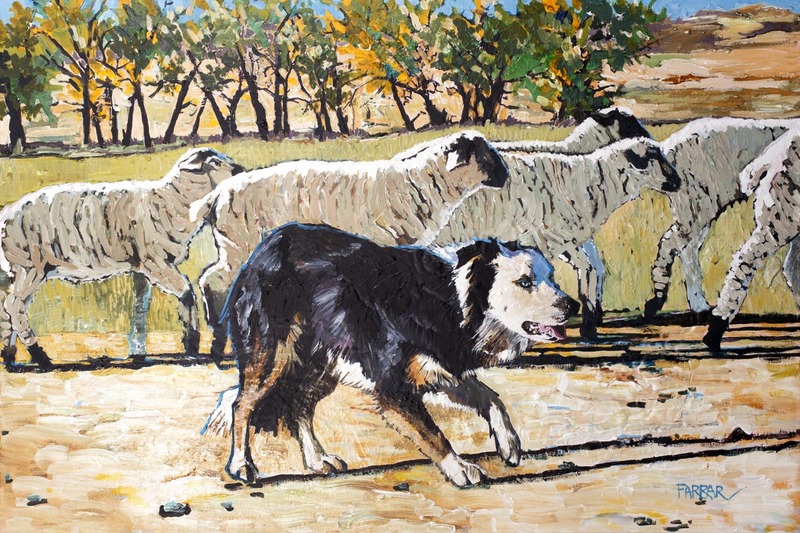 The Border Collie stock dog is an invaluable tool helping to control the entire herd. This original is painted on gallery wrap canvas with all edges painted continuing the scene around the corners. No frame needed for a modern display. 6" x 9"11" x 16.5"12" x 18"14" x 21"17" x 25.5"17.75" x 26.5"